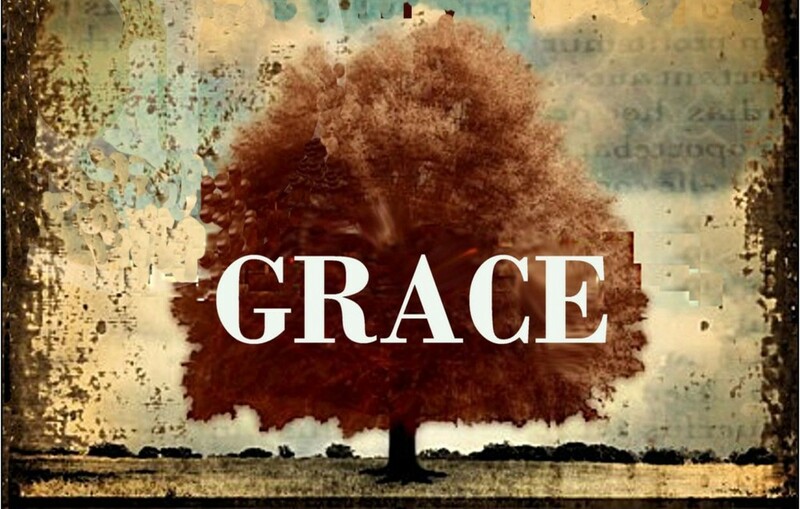 Grace, brought through Jesus, our foundation stone of new covenant. My struggle with understanding Grace. Although I knew Jesus had taken on himself mans sin. The problem I had with the apparent absence of law, was what is it being replaced or superseded with. As some of grace message patrons very often displayed a cocktail of lawlessness, it made me question it's validity. Mixed with random experiences of God, there seemed to be an absence of fruit. Have subsequently discovered fruit only grows by consistency of abiding in the vine. Verses like perfecting holiness in the fear of God, would never be a topic in the forefront of conversation. Law is replaced with relationship, but once relationship is on hold, through our choice, ignorantly or not, we then automatically default to a lower law. Knowledge of good and evil, The letter is a lower law, but can provide the scaffolding for the work that needs done, if mixed with faith. Lower than the letter is the law of sin and death. (flesh) lawlessness. Best example I have is the law of gravity. Can be superseded by the aviation law of aerodynamics. As long as fuel is in the tank and thrust coming out of engines this law supersedes the law of gravity but doesn't do away with it! Gravity is still right there to take over, if the engines are turned off. Having begun in the spirit are we now made perfect in the flesh. Flesh is our self effort, using law to be right and do right. This is a wrong focus in light of the now provision made available through Christ. Conflict of natures, flesh lusting against spirit, visa a versa. I tried to legislate to gain control but came up empty handed. The law didn't work. The law in turn condemned me. Also when I didn't put action to my faith, to appropriate the blood of Jesus by coming in His presence, I realised I'm back under the law, as the nature of Christ lies dormant in me, its the obedience of the new man within that brings the victory. The letter kills, not because its wrong, as it contains the law, or standard for our lives, but unless quickened by the spirit, doesn't carry the power for change. We now have the tendency to use New Testament scripture as our commandments, as a way we hope to please God. Obeying His commandments in john 14, is as the spirit takes of the father and brings to us his will, his purpose for our lives. The truth is God doesn't need our self efforts of upholding any law, He simply wants to take ownership of what He has already purchased. Its mainly about who is in control. Spirit or flesh! 1st adam or 2nd adam. That's why the first Adam has to die, by lack of use. The flesh nature will never allow Christ to be in control while its still alive, or in charge. I believe One of the first agendas of the Holy Spirit apart from revealing the love of the father is to aid in the process of rendering dead the flesh, or self life, through establishing the new man. Flesh is a learned nature based on the natural laws within our physical body. Rather than looking to knowledge or self effort, I need to run to His presence, grace through faith, He does his work in me, he knows my origins, my callings, i need to learn of Him. Im His workmanship, he then gets the credit not me. A wise man once said, "The more I help God the less he can do, the less I help Him the more he can do, if I don't help him at all he can do anything! Let go and let God."